Many new laptops come with very high resolution screens, causing text and icons in various software packages to appear very tiny, or badly sized. 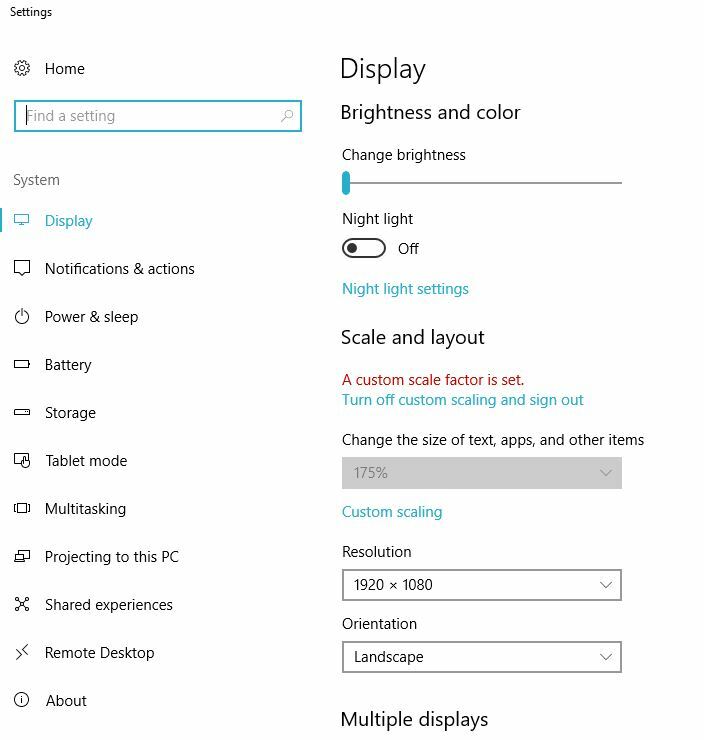 Reduce the screen resolution to 1920 x 1080 and scale the text to 100%, or as desired. This entry was posted in AirGon Installation, Licensing and Updates, GeoCue Tools, Tips and Workflows, LP360 Installation, Licensing and Updates, Terrasolid Installation, Licensing and Updates. How to Move a Node-Locked Photoscan License?